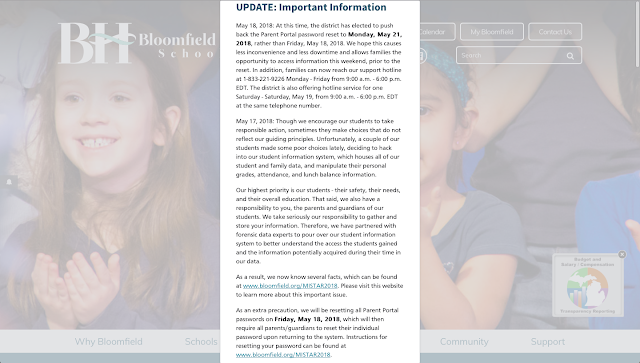 Two students at Bloomfield Hills High School are the main suspects of a hack into the school’s Student Information System called MISTAR. The students are believed to have made changes to the grades, attendance records, and lunch balances of about twenty students and themselves. The hack was discovered when an employee logged into his account and noticed an error, after which the school investigated the issue and learned about the attack. The students are suspected to have exploited a now-resolved vulnerability in the school systems to gain access. The school has announced that it will be resetting all Parent Portal passwords on Monday, May 21, 2018, which will then require all parents/guardians to reset their individual password upon returning to the system. “We are committed to using this unfortunate incident to teach our students about digital citizenship and help support them in making better digital decisions,” the school further announced. In a YouTube video, Bloomfield Hills High School superintendent Robert Glass said that the punishment for the culprits of the attack is likely to be severe. “Cyber hacking is a federal crime and we're working with the proper authorities to determine the appropriate discipline and legal ramifications," he said. "Due to student privacy laws, we're not able to disclose more information but we can assure you that we're working within the full extent of the Student Code of Conduct and the full extent of the law." The school has also established a support hotline, aside from their FAQ page, where parents can reach out to learn more or have their questions about the hack answered. Security Advisory from isc says that they got report from many Organizations across the Internet about crashes interrupting service on BIND 9 nameservers performing recursive queries. 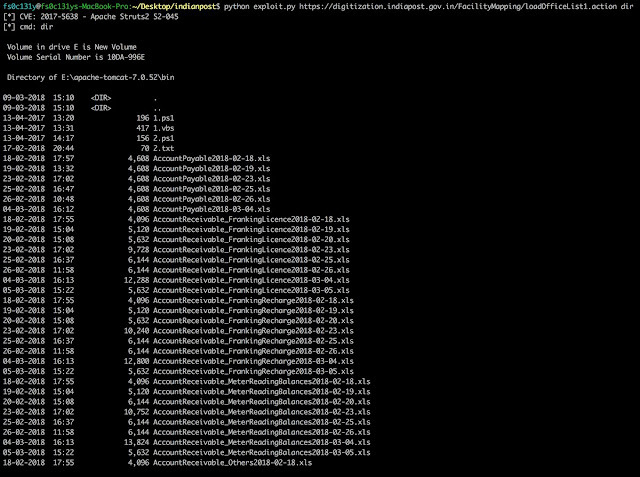 Affected servers crashed after logging an error in query.c with the following message: "INSIST(! dns_rdataset_isassociated(sigrdataset))" Multiple versions were reported being affected, including all currently supported release versions of ISC BIND 9. ISC is actively investigating the root cause and has produced patches which prevent the crash. An as-yet unidentified network event caused BIND 9 resolvers to cache an invalid record, subsequent queries for which could crash the resolvers with an assertion failure. ISC is working on determining the ultimate cause by which a record with this particular inconsistency is cached.At this time we are making available a patch which makes named recover gracefully from the inconsistency, preventing the abnormal exit. The patch has two components. When a client query is handled, the code which processes the response to the client has to ask the cache for the records for the name that is being queried. The first component of the patch prevents the cache from returning the inconsistent data. The second component prevents named from crashing if it detects that it has been given an inconsistent answer of this nature.